We begin by looking at the recent evolution in humans. Evolution is very much still happening today — and it's happening to us, right here, right now. Our genes constantly change over time thanks to the power of selection. Milk and dairy products like ice-cream yogurt, cheese and butter contains lactose. Lactose is a sugar found in milk and milk-based (dairy) products. Lactase is an enzyme that functions to breakdown (metabolize) lactose in the body. This means that they would no longer be able to digest milk when they get older. Scientists have discovered a mutation that first appeared on the plains of Hungary about 7,500 years ago, that allowed some humans to digest milk into adulthood. 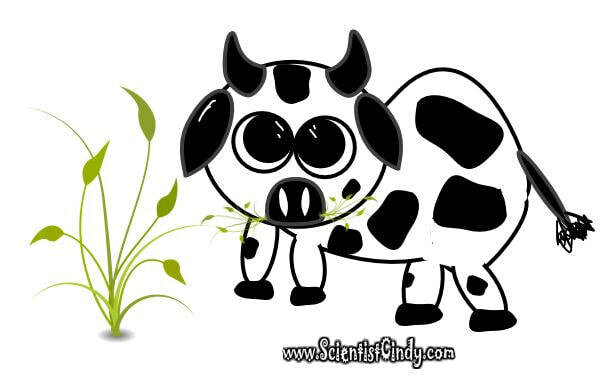 The ability to digest protein-rich, calorie-dense, dairy products was a definite evolutionary advantage. We still see evidence of this genetic change today, because as many as 75% of humans still have some level of lactose intolerance. The genetic mutation that causes Sickle-Cell Anemia is the same genetic mutation that prevents the Malaria Virus from invading the cells. 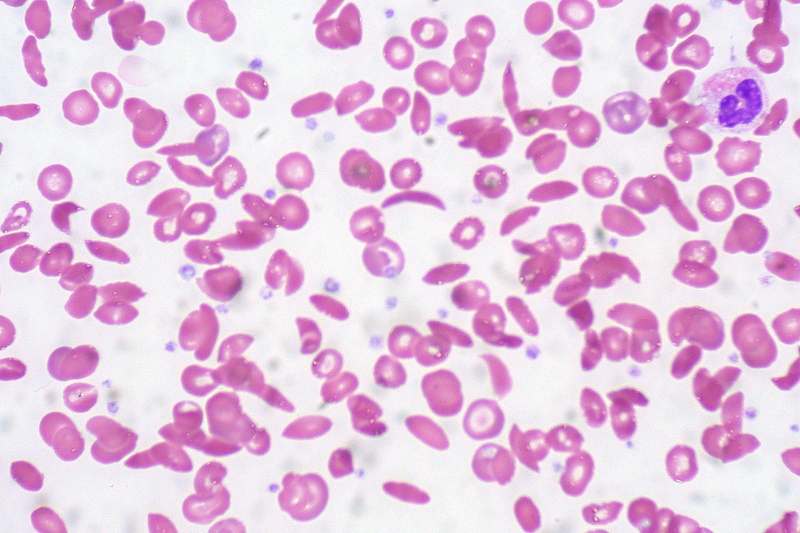 Sickle-Cell Anemia is most common in people of African descent (7%), and other areas where malaria is prevalent. ​ Sickle-Cell Anemia is a condition caused by a genetic mutation that leads to misshapen red blood cells that look like a "sickle", hence the name. ​ These abnormal red blood cells are impaired in their ability to deliver oxygen to cells and have a shorter life-span. Patients with Sickle-Cell Anemia experience excessive bleeding upon injury which, in severe cases, can lead to death. This excessive bleeding is due to the condition that prevents the normal clotting action of the blood. Other symptoms of Sickle-Cell Anemia are experiences when these misshapen red blood cells simply get 'stuck' inside blood vessels. These symptoms include pain, lethargy, shortness of breath, dizziness, headaches, or coldness in the hands and feet. Malaria is a life-threatening mosquito-borne blood disease caused by a Plasmodium parasite. ... Once an infected mosquito bites a human, the parasites multiply in the host's liver before infecting and destroying red blood cells. Several teams of scientists around the world have gathered compelling evidence that links today's individuals that are immune to HIV infection to the survivors of the Black Plague. Evidence suggests that these HIV-immune people are descendants of the survivors of the of the Bubonic Plague (also referred to as the Black Death) that swept through Europe in the Middle Ages. This genetic mutation (known as CCR5-Ä32) prevents the virus from entering the cells . ​The mutation occurs on the gene for a. about 10% of Europeans have a genetic mutation that protects them from HIV infection. CCR5 is a type of receptor that exists on the surface of white blood cells,. 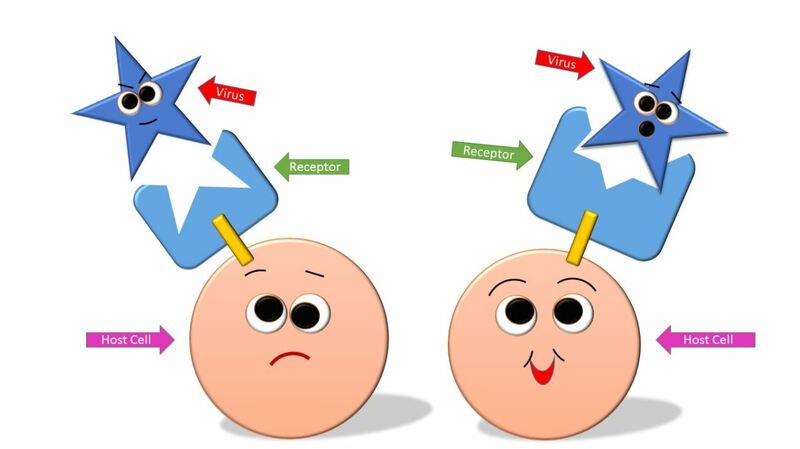 Under normal conditions, the receptor functions to receive chemical signals from the tissues and organs of the body. The white blood cells use this information to survey the health of the body and look for signs of infection. The HIV virus exploits the CCR5 receptors and is able to bind to the receptors and enter the cells. HIV-immune individuals carry a mutated form of the CCR5 receptor which prevents the HIV virus from binding to it, which prevents the virus from infecting cells. Scientists have tracked down a genetic mutation which took place 6,000-10,000 years ago and is the cause of the eye color of all blue-eyed people. Originally, everyone had brown eyes,. There was a genetic mutation in the OCA2 gene that adds melanin (pigmentation) to our eyes, that essentially turned the gene off. 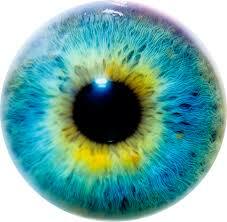 This caused a decrease in the melanin of the eye, thus turning blue. 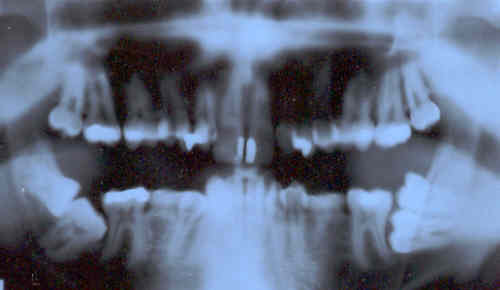 25 % of humans today are born without wisdom teeth. A few thousand years ago, a mutation popped up that prevented wisdom teeth from growing at all. Humans stopped needing wisdom teeth after humans begin cooking food and developed agriculture thousands of years ago. This switch to softer foods, decreased the size of our jaw muscles. Cave men would wear out their molars and have room for the wisdom teeth to replace the. Most people don’t have room for them. Our appendix was used to secrete digestive enzymes that were needed to break-down our previous diet of cellulose-rich plants. Now it is thought to harbor probiotics or bacteria. Many people in the U.S. each year get a bacterial infection in their appendix, a condition called appendicitis, which requires that the organ be surgically removed from the body. 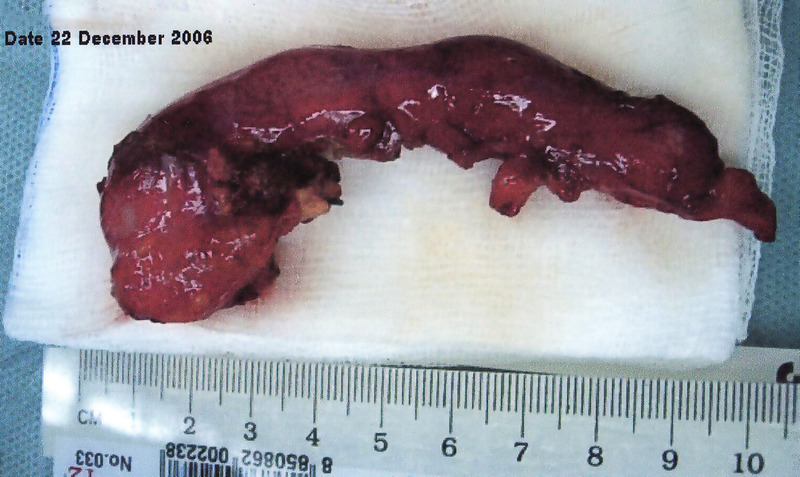 Patients recover and are able to live without the appendix just fine. Goose bumps really serve no purpose to modern humans, but when we were much harrier, they probably served the same function that the arrector pili serve in other mammals. The pili contract involuntarily when the mammal is either cold or feels threatened. This acts to keep the animal warm and to increase the size of its appearance to ward off danger. All humans develop a tail in early fetal development. However, for most of us, this tail regresses in the fetus around 8 weeks. A "true humans tail" has connective tissue, muscle tissue, nerves, and even blood vessels. Your coccyx, better known as your tailbone, is the very last part of your vertebrae, and is the remnant of a lost tail. We all have a tail bone. Most people know that. But did you know that you also carry genes that encode for a tail too? In the vast majority of people, these genes are essentially turned off by epigenetic factors. These genes, on occasion get "turned back on" and we get babies born with a tail-like appendage. Usually surgery is performed in infancy to remove the unneeded tail. 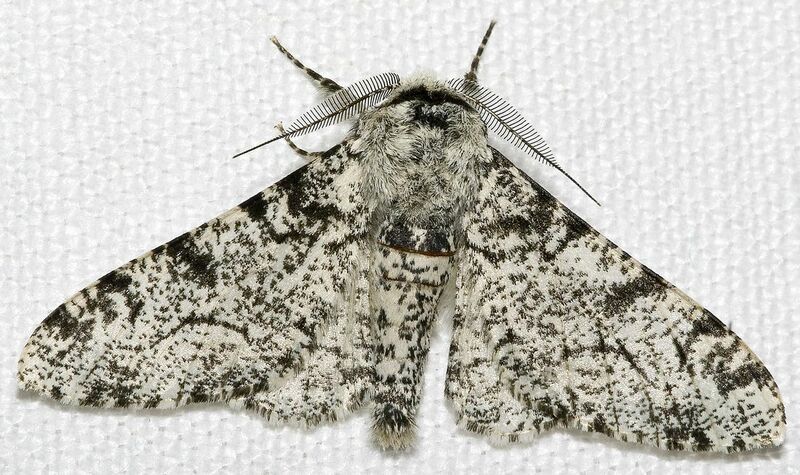 The evolution of the peppered moth is a classical example of evolution due to natural selection. These moth's resided in London in the 1800's during the Industrial Revolution. ​ At the beginning of the 1800's there were more light-colored Peppered Moths than dark-colored Peppered Moths. These moths would rest upon trees with white bark. The dark-colored moths were easier to spot against the light backdrop of the white tree bark and consequently were eaten more often by hungry predatory birds. The light-colored Peppered Moths camouflaged against the light-colored trees and were much more prevalent in the population.